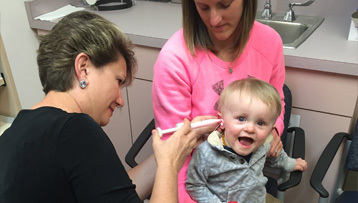 There are many ways you can give to Buffalo Hearing & Speech Center Foundation. You can give your time by volunteering to help at various events, sitting on committees or volunteering at the Center. And, of course, you can give by contributing to our Annual Fund Drive or by remembering the Foundation as you do your estate planning. Buffalo Hearing & Speech Center Foundation accepts gifts of cash, stocks and securities, life insurance policies or become a beneficiary of your IRA. BHSC staff will be happy to work with you and your financial advisor to find a vehicle which best fits your plans. Helping almost 100,000 individuals with communication needs since our inception, we have relied upon ongoing support from our community of generous donors to accomplish this level of assistance. We would not have been able to do what we have done, or think about ways of moving Buffalo Hearing & Speech Center into the future, without the continued private and corporate endowment of our mission to the WNY community. The needs of our community are increasing each year with governmental and insurance support lessening. We cannot continue our work without you. We use each dollar that you donate to BHSC to help defray costs of deficit-funded programs in order to keep them vital and growing. Our Oral Deaf Education Program and Literacy Scholarships are some examples of services that we could not continue to provide the community without you lending us a hand. We believe that communication is a basic human need and right. I ask you to help guarantee that Buffalo Hearing & Speech Center remain a community resource for a long time to come. Please help us help others. I thank you in advance for your donation, and ongoing support. Your Gift of Support Helps! 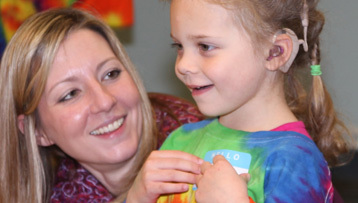 Each and every gift helps Buffalo Hearing & Speech Center carry out our mission of improving the quality of life for more than 8500 adults, children and infants with communication disorders. Please make a secure donation online today! Your support is vital. Only with community support can Buffalo Hearing & Speech Center continue to make an impact on lives in WNY. Take a moment to make an impact today. Our Foundation has a planned giving program that makes it easy to remember BHSC in your will. Contributions may take the form of a bequest, a gift placed in trust, a charitable gift annuity, and a gift of property in which you retain a life interest or a life insurance policy that designates the Foundation as the beneficiary. Planned giving is a gift that is designed to benefit both you and BHSC. With such a gift, along with receiving an income tax deduction, you can provide income for yourself for a specified number of years or for your lifetime. Many people erroneously believe that a bequest to a charity has to be a big amount, a privilege reserved only for the wealthy. However, bequests can come in all sizes. Any amount is greatly appreciated. When you make a bequest to our Foundation through your will, you will help insure that BHSC will remain in Western New York and will continue to provide the best state-of-the art care. This is the noblest and most enduring legacy you can provide. If you would like to discuss how you can support BHSC Foundation, please contact the Foundation at 716-885-8318. Please contact your attorney to discuss ways you can support Buffalo Hearing & Speech Center Foundation. Dress Down Day - Employees in your company make a monetary donation to BHSC Foundation and in return they have a dress down day. Why not make it a theme day? Sports day, hat day, Hawaiian Luau Day. Golf Outings - Does your Company host a golf outing? How about donating the proceeds to Buffalo Hearing & Speech Center? Raffle - Host a raffle in your office with the proceeds donated to BHSC Foundation. Event Sponsor - Sponsor one of BHSC's Signature Events - Gala, Golf or Brewfest. Recycle - What happens to the soda cans in your office? How about collecting them and donating the proceeds to BHSC Foundation? Search for a Cause - Use www.GoodSearch.com as your search engine, select BHSC as your charity of choice and $.01 per search will be donated to BHSC. Network for a Cause - Use this search engine when you shop online. Select BHSC and we will receive a check! Use Giving Assistant to donate to us while you shop! It’s easy: Giving Assistant helps you donate a percentage of your cash back earnings to us with every purchase you make at 1800+ popular online retailers. You’ll also find useful Kohl's Coupons, as well as big savings at places like Macy's, JC Penney and Home Depot! Use Giving Assistant to save money and support Buffalo Hearing & Speech Center Inc.
Join Giving Assistant now to start donating 3-30% of every purchase to Buffalo Hearing & Speech Center Inc. while you shop online at places like Bed Bath & Beyond, Best Buy, and Home Depot. Honors and Memorials -- Recognize or remember a friend or loved one by making a donation in their honor. This is a great way to honor someone for their birthday, anniversary, graduation, holiday or other special occasion.